Come in and make yourself at home! 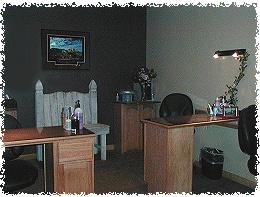 All of the salon services - Hair, Nails, Pedicure etc., are located on the first floor. 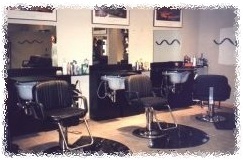 You'll find the salon is clean and inviting with an upscale appearance. Best of all you'll find the atmosphere here at JaKay's Salon & Day Spa is warm and friendly and before you know it, "Everybody Knows Your Name". Men and women alike enjoy the benefits of a manicure since it improves the appearance and feel your hands. JaKay's also specializes in the newest technique for beautiful artifical nails. Call for an appointment today. 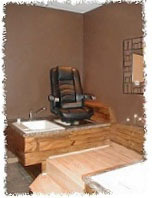 You're sure to find JaKay's pedicure room provides the ultimate in relaxation and comfort! When your feet work as hard as you do, you'll find that the experience of a Pedicure and Foot Massage will leave your feet feeling refreshed and revitalized.